Speculative Romance Author Regina Paul: Author Spotlight with Tara Fox Hall! 404 ~ Page Not Found! Home » deep breaths , non-fiction , Tara Fox Hall » Author Spotlight with Tara Fox Hall! 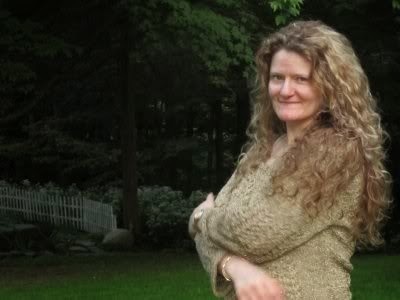 Tara Fox Hall’s writing career began in the pages of a small print magazine, Catnip Blossoms!, that a friend, Harald Moore, put out to promote his catnip farm in Johnsonville, New York. 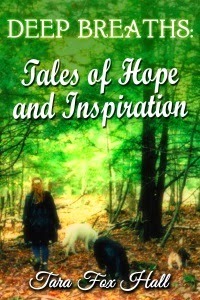 One short non-fiction article followed another, detailing her adventures saving wildlife, her experiences living on an acreage, and more than a few humorous recountings detailing the antics of her wacky pets. Written to delight, fascinate, and move readers, her simple but enchanting stories of country life quickly found a following. Tara kept publishing stories for the next five years, even as the name of the magazine changed to Meanwhile, and then to On The River, when the catnip farm went out of business, and Harald moved with his family to a new home near a river. These previously published stories are collected here for the first time with new added content, in the hopes of bringing a little more hope and inspiration into everyday life. My tiger cat, Kesteral, used to be an indoor cat when we lived in the busy city of Binghamton not that long ago. Since we moved to the country, my once shy and nervous cat has become an avid hunter. It was not very long until he began demanding to go out at night. At first I tried to enforce a 10pm curfew, which I staunchly believed that all good little cats should be able to follow. After a few nights, “Kester” decided that 6am was too late in the morning to be out looking for “early” mice. 3am was much better. I tried yelling at the yowling monster outside my bedroom door, but as soon as I would begin to drift off to sleep, Kester would take up right where he left off. I next tried threats of punishment. He retaliated by clawing through the carpet at the basement stairs in an effort to get into the basement (a certified mouse haven). I stuck to my guns, believing when there was no further carpet shredding that the problem was solved. I had cured him of his insanity! Then lo and behold, Kester greeted me one morning when I opened my front door. He had chewed through the plastic expandable partitions at the side of the air conditioner and slipped out! I taped up the ragged hole. Not to be thwarted, my sweet little monster chewed through the tape. I thought Hey, who is smarter here?and blocked off the sides of the air conditioner with pillows held in place by a table. Kester proved he was smarter by squeezing his way through. In a master ploy, I removed the air conditioner all together (it was late August—fall was practically here. A few days of sweating profusely was worth teaching dear Kester who was master). Ha! I thought triumphantly. He’s not getting out now!